Tulane Urology has a long history of being the regional, national, and international leaders in minimally invasive surgery for urologic disease such as prostate cancer, kidney cancer, erectile dysfunction, kidney stones, and benign prostatic hyperplasia. From robot surgery for prostate cancer (with experience in over 1000 robotic surgeries since November 2002), to laser surgery for BPH and percutaneous procedures for kidney stones, Tulane Urology has the most experience in minimally invasive procedures in New Orleans, LA - and the Gulf South region. 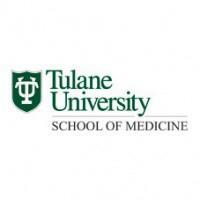 In this spirit of innovation, new robotic procedures for treatment of renal cell carcinoma, Robotic Partial Nephrectomy, advanced Laparoscopy for urologic oncology, and experience in treating sexual dysfunction and infertility, the mission of Tulane Urology is to advance the frontiers of medicine and deliver excellent patient care.